Empowering Design Practices is a five-year action research project to support and explore how community-led design can help empower those who look after historic places of worship to create more open, vibrant and sustainable places. This five-year collaborative research project is the largest project in the Design and Communities strand funded by the Arts and Humanities Research Council (AHRC). It explores how community-led design can help empower those who look after historic places of worship to create more open, vibrant and sustainable places that respect and enhance their heritage. 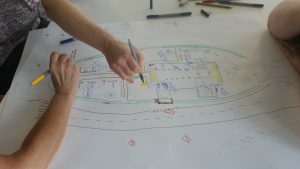 Working within this context, the project aims to develop tools, resources and training to support community-led design practice and research to support any community-led design process for the built environment. 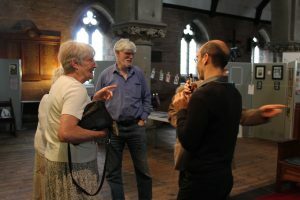 The project is led by the Open University in partnership with The Glass-House, Historic England, Heritage Lottery Fund, Historic Religious Buildings Alliance, and others. 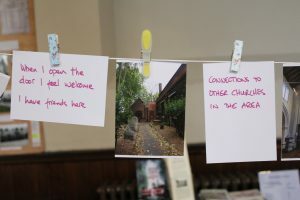 EDP is exploring the current landscape of historic places of worship and communities leading change within them through a combination of desk research and interviews, building visits and workshops with groups. We hope to understand what values inspire and hinder the wider use of historic places of worship and what benefits and impacts community-led design practices can bring. 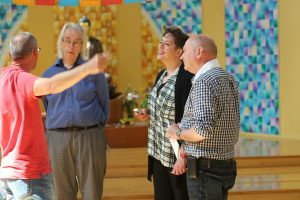 Working with live projects, we are co-designing new practices and providing hands-on support to communities to help them lead projects to transform their historic places of worship. 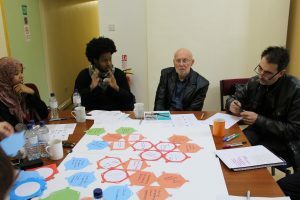 In this work we draw on a variety of design and other creative research methods to investigate how inclusive design processes can support a diverse spectrum of people, organisations and places. Drawing on learning from the project and the practices of partners, we are developing open educational resources and training for students, communities and the professionals and support bodies who work with them. 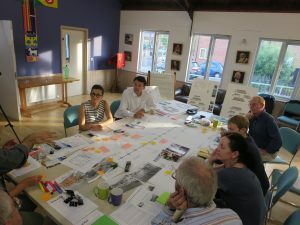 Empowering Design Practices is led by the Open University in partnership with The Glass-House, Historic England, Heritage Lottery Fund, Historic Religious Buildings Alliance and consultants Becky Payne, Stephen Smith and Leo Care/Live Works. The project is funded by the Arts and Humanities Research Council. For updates on project activities and outputs check the EDP website and Twitter.